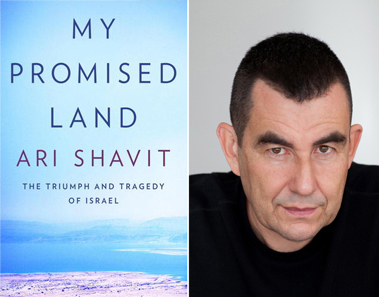 I’m not recommending this amazing book by one of Israel’s most famous writers because I think you will like it. You almost certainly won’t. Nor did I. Posted in Media, Aside format and tagged #shavit#nakba#israel#palestine#enright#paiken#mypromisedland on April 28, 2014 by Peter Larson. Trudeau assures lobby there is an “all party consensus” in Ottawa on Israel. How do we deal with it? Harper and Baird are so extreme on the Israel/Palestine question that it is relatively easy to get decent people angry or dismissive of them. However, the uncomfortable reality is that there is an all-party consensus in Canada to support Israel, almost unconditionally. One State or Two states? What is the right answer? When I do slide show presentations on Israel/Palestine to church or other groups I am often asked whether I support a one-state solution or a two state solution? Which is better? Which is feasible? Is the United States starting to distance itself from Israel? A remarkable article, entitled “Stand Firm, John Kerry”, signed by several very senior US officials, including Zbegniew Brezinski (former National Security Advisor to Jimmy Carter), has been circulated widely. Subtitled “Its time for the secretary of State to insist on America’s position on Middle East peace”, it is the sharpest criticism of Israel from high US sources in recent years. Posted in USA Politics on April 11, 2014 by Peter Larson. The End of Palestine! Really? Longtime activist Norman Finkelstein is alarmingly pessimistic about the situation of the Palestinians. In a recent article in the Newleft project (and in a series of speeches at UK universities), Finkelstein argues that if there is a Kerry mediated peace deal, it is likely to be a catastrophe for the Palestinians.